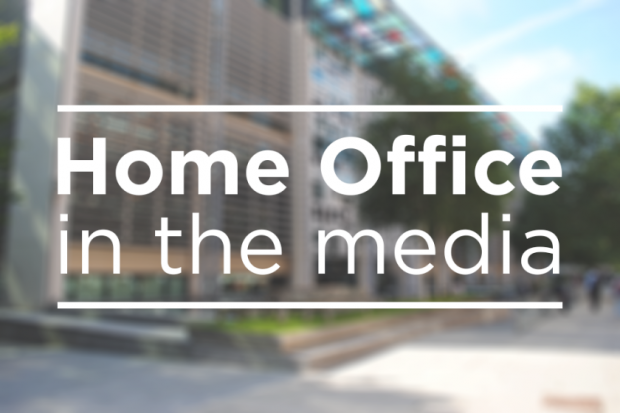 Today’s Home Office-related stories include changes to the immigration policy for the survivors of the Grenfell Tower fire, an individual permanent residency case, and our the future immigration system when we leave the European Union. The Guardian, Times, Huffington Post and BBC are among the media outlets reporting the Home Office’s changes to the dedicated immigration policy for the survivors of the Grenfell Tower fire. It is reported that survivors of the tragedy who have uncertain immigration status will have a route to permanent residency. The Guardian notes eligibility to remain indefinitely would depend upon passing security and criminality checks, and an individual having been resident in the UK legally for five years. The announcement on GOV.UK gives more details about the changes while a comment from the Immigration Minister can be found below. The Guardian reports on the immigration case of couple Stuart Ross and Maria Cristina Ubeda Tuero-O’Donnell. The paper says that American national Mr Ross spent three years trying to get permanent residency, and claims the Home Office "refused" to accept a judge's verdict after appealing a court ruling against the decision to refuse his application. The Home Office comment on the case can be found below. Mr Ross was granted permanent residency in May 2016. We exercised our right of appeal in this case to clarify points of law, and fully accept the outcome. Mr Ross had the right to reside and work throughout the process. The Evening Standard carries an opinion piece from London Mayor Sadiq Khan where he sets out his own vision for a future immigration system for London. In the article he accuses the government of only being "interested in appearing tough on immigration”, and argues that the government should be making it easier, not harder, for talented immigrants to come to the UK. The Home Office’s response can be found below. After we leave the EU we will have an immigration system which works in the best interests of the UK. Crucial to the development of this will be the views from a range of businesses. We will be setting out our initial proposals for this system later in the year but we have already been clear there will be an implementation period after we leave the EU to avoid a cliff edge for businesses.